MODEL AND UNDERSTAND YOUR HYBRID DATA CENTER. Public cloud and private cloud network environments are a flexible answer for both computing and fast deployment of new network infrastructure. Most data centers are hybrid data centers, consisting of public cloud and private cloud environments along with physical network infrastructure. While we may have the tools to understand and provide public cloud security and private cloud security, we struggle to see the whole network and understand access across and between environments, as well as private and public cloud security management. 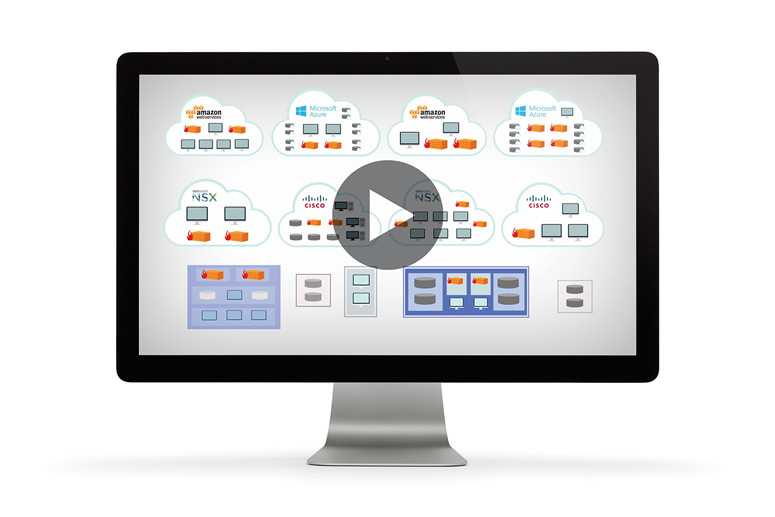 RedSeal’s cloud visualization brings network environments together in one model. You’ll have cloud visibility so you can understand all access, within and between public cloud, private cloud, and physical network environments. How Do You Protect Your Infrastructure When It’s In Different, Separately Managed Environments? If a workload in the cloud is compromised, can the attacker reach your physical assets? If a vulnerability in your SDN is compromised, what other assets are at risk? Are your network segmentation policies in security groups enforcing your intent? RedSeal gives you one, unified model of all your network environments so you can validate and manage policies within and between those environments. 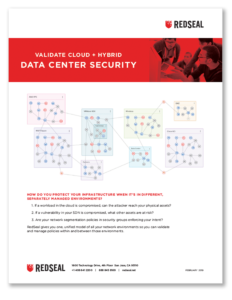 See how RedSeal can model all of your network, including public cloud, private cloud and physical assets. RedSeal’s cloud visualization allows you to see all access within and between environments so you can implement cloud security management. RedSeal supports Amazon’s virtual private cloud (Amazon VPC) and AWS Config to create a unified view of your hybrid data center. RedSeal brings your Azure Virtual Network (VNet) into a unified model of your network—capable of being modeled, tested and measured. RedSeal brings VMware NSX environments into a unified network model, including the full feature set that exists for all RedSeal supported devices. RedSeal’s integration with Cisco Application Centric Infrastructure (ACI) brings ACI users the ability to provide critical visibility into access controls for multiple network environments, as well as alert you to violations of industry and customized policies.